Young cancer patient lends support to brand new Penarth charity walk. Penarth is gearing up for the five mile Bloodwise Balloon walk at Cliff Parade to raise vital funds for the leading UK Blood Cancer charity. 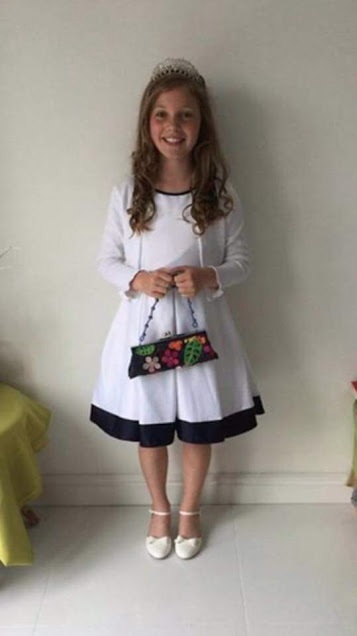 Lola Owens, aged 10, and her family are taking part in the Balloon Walk on Sunday 29 April after Lola and her family were affected by blood cancer. Lola was diagnosed with acute lymphoblastic leukaemia at the age of four, having had no previous symptoms of being unwell other than a bad stomach and pins and needles in her legs. During the first few weeks of treatment Lola’s body was not responding as anticipated. Lola’s mum Lisa was told to prepare for the worst. “No parent should ever have to hear those words”. Lisa went on to say ”Defying all predictions Lola pulled through, though she had lost the use of her legs for a period of time and had to be learn again how to walk. Lola has now been off treatment for 6 years and has had the all clear”. The Wales Balloon Walk will begin at Cliff Parade and the five mile route will take in the stunning coast around Penarth, with views over the Bristol Channel to the islands of Steep Holm and Flat Holm (and its lighthouse which dates back to 1737). Lisa, Lola’s mum, added “We will be forever grateful to the amazing nurses and oncologists at the Heath Hospital but equally grateful to the unseen people who research the treatment available for these blood cancers and it is with such gratitude that we are delighted to raise funds for Bloodwise in an attempt to further improve treatments made available to anyone suffering from these diseases in the future”. The walk is a great opportunity for families of all ages to come together in aid of Bloodwise. Ben Sykes, Regional Manager for Wales says, “We are delighted to be holding the Balloon Walk at Cliff Parade in Penarth. We are hoping this event can be the beginning of more opportunities for other such events in the area; it will be a great event friends and families alike and everyone can get involved”.